Lisa Jackson, Obama’s EPA director, has just announced the agency’s new auto regulations of gas mileage based on global warming. In addition, the agency asserts the right to regulate carbon dioxide (CO2) emissions under the Clean Air Act. There is absolutely no scientific justification for this and, indeed, many observers believe the EPA lacks the legal authority regarding its stance on CO2. Greenhouse gases are purported to be the primary cause of this fraud. The EPA, like a dozen other U.S. agencies, has been pushing the global warming fraud for decades. One more lie, even a whopper about CO2, is of little concern to the EPA at this point. Beyond the issue of scientific fraud, there are the scientific facts that demonstrate that CO2 plays a miniscule role, if any, as regards the Earth’s climate. Carbon dioxide is less than one percent of the Earth’s atmosphere (386 parts per million). There is, in fact, no greenhouse effect. The most active element of the atmosphere is the 95% of water vapor that forms a protective layer around the Earth. The science involved is fairly simple. Clouds have a warming effect because, in order for water vapor to condense back into water droplets, the water molecules must first re-emit the energy they absorbed to become vapor. That latent heat causes the local environment to feel warmer. It is this constant interchange that determines whether wherever you’re at right now is warmer or cooler. The public is rarely, if ever, told that meteorologists have NO idea why clouds act as they do. All they can do is track cloud activity via satellite images, but they can only accurately predict the weather at best for three to four days ahead. This is why, when you watch a televised weather forecast, they mostly just point to cloud systems. 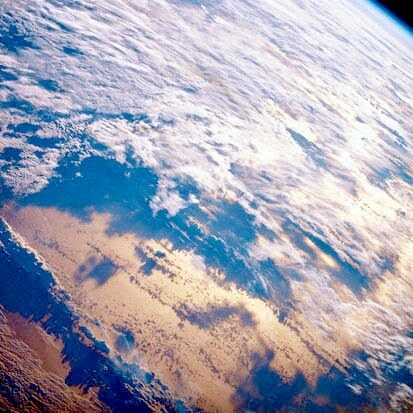 The Earth’s oceans contain fifty times the CO2 in the Earth’s atmosphere. The Earth’s biomass, oceans, near-surface rocks and soils contain 100,000 times the carbon in the atmosphere. How can carbon dioxide be a pollutant when all life on Earth is dependent upon it? CO2 is to vegetation what oxygen is to human and other animal life. Without CO2, all vegetation dies and then all animal life dies for lack of the nutrients provided by food crops. The EPA will blame the generation of CO2 on energy use, but 97% of the Earth’s CO2 is produced by Nature! Only about 3% of all the CO2 in the atmosphere is produced by humans via industrial and transport activity. This estimate, in fact, comes from the UN Intergovernmental Panel on Climate Change! The IPCC’s other alleged climate data is subject to serious challenge, but this is not. It falls into the category of common knowledge among climate scientists. Environmentalists are insanely opposed to all energy use with the exception of bicycles, canoes, and walking. They particularly hate automobiles, but these are the same people, along with the EPA, that have insisted on the inclusion of ethanol, otherwise known as moonshine, in every gallon of gasoline. The immediate result is less mileage per gallon and the production of more CO2! None of these facts is a secret yet, since 1989, the U.S. government has spent $79 billion in taxpayer’s money on “climate change” research. To suggest that the government, using the data generated, has any “control” over the climate is absurd. The result of all that government funded research has been a public that has been subjected to the massive fraud called global warming. Weather data provided by NASA and NOAA, for example, has had to have been withdrawn due to errors. Not only has the scientific community learned that the IPCC data was manipulated and that efforts were made to suppress data refuting global warming, but the Earth has irrefutably been in a cooling cycle for over a decade at this point. The EPA regulatory control of auto mileage and CO2 emissions is a complete fraud and a contemptible lie. In doing so it has become a gangster agency that has abandoned any credibility. Finally, the Cap-and-Trade Act awaiting a vote in the Senate is based on the global warming fraud and, if enacted, would impose massive taxation on all energy use. It must be stopped. The EPA’s latest move must be stopped. The fate of the nation’s economy literally depends on this.